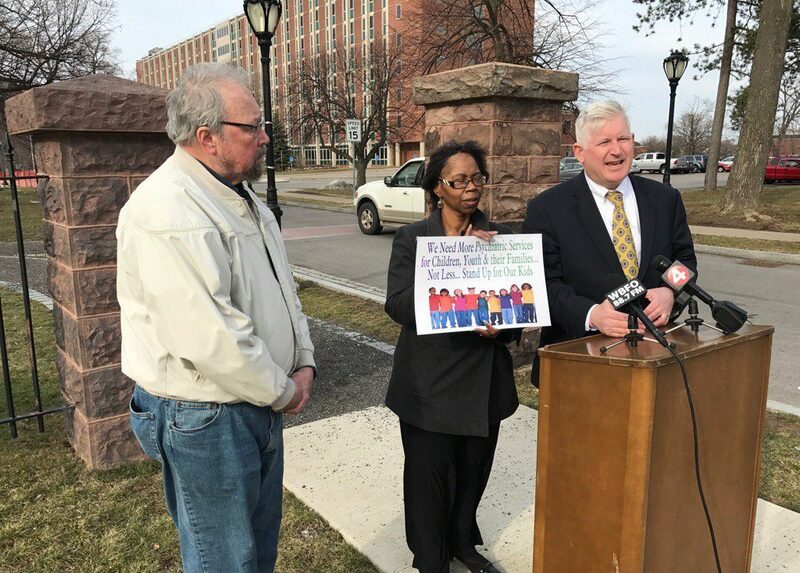 By Dan Clark on Wednesday, April 12th, 2017 at 4:29 p.m.
Assemblyman Michael P. Kearns has called for a federal investigation into the number of deaths at the Buffalo Psychiatric Center. "I was shocked to learn of these numbers from the Buffalo Psychiatric Center," said Kearns, a South Buffalo Democrat. "Seventy-six deaths in three years equate to about 25 patients a year dying at this facility." Kearns has an intense reason to focus on the Buffalo facility. He opposes a state plan to close the Western New York Children’s Psychiatric Center in West Seneca, located in his district, and relocate its patients to the Buffalo Psychiatric Center by the end of 2018. The state has said there will be a separate entrance and wing for children at the Buffalo facility, but opponents of the plan still do not want children relocated. Kearns wants an independent investigation of the Buffalo facility before the consolidation, but the state calls that unnecessary. The state also disputes the number of deaths Kearns has cited. So, who’s right? Did 76 patients die at the Buffalo Psychiatric Center over three years? How many died at the Buffalo Psychiatric Center? The state requires facilities like the Buffalo Psychiatric Center to report the number of deaths that happened on-site and also certain deaths that happened away from the facility. Every patient death — inpatient or outpatient — must be reported, whether the death is related to treatment or not. If someone receiving outpatient treatment dies in a car crash, for example, that death would be reported. The facility also must count people who die within 30 days of ending treatment, regardless of the circumstances. Kearns cites 76 deaths because that’s the number reported between June 30, 2013 and March 31, 2016, on a document from the state Justice Center for the Protection of People With Special Needs. An advocate for children with special needs obtained the document through a Freedom of Information Law request and shared the information with Kearns. But the Justice Center calls Kearns’ claim inaccurate. "It would be inaccurate to assume that all 76 deaths listed in this FOIL response to have physically occurred at the Buffalo Psychiatric Center," the Justice Center said in a statement. "The information provided includes a listing of all deaths reported to the Justice Center of individuals receiving residential services at a particular facility or who had received such services within 30 days of their death." Further, "please be advised that we do not track where the death occurred, since a death could occur in a location that is not under the jurisdiction of the Justice Center, such as in an emergency room," the response said. The state Office of Mental Health, which runs the Buffalo facility, confirmed in an email that 13 people died on-site at the facility in the same time period. "During the time frame in question, there were 13 deaths on the Buffalo Psychiatric Center campus, all due to natural causes," according to a statement from the mental health agency. The 63 other deaths did not happen at the facility and could be unrelated to any treatment. The state did not have a breakdown of how many of the 63 people who died were still patients at the time of their deaths. Kearns said 76 patients died at the Buffalo Psychiatric Center between June 2013 and March 2016. The number is misleading. The state Office of Mental Health confirmed 13 deaths at the facility during that time. The remaining deaths did not happen at the facility. 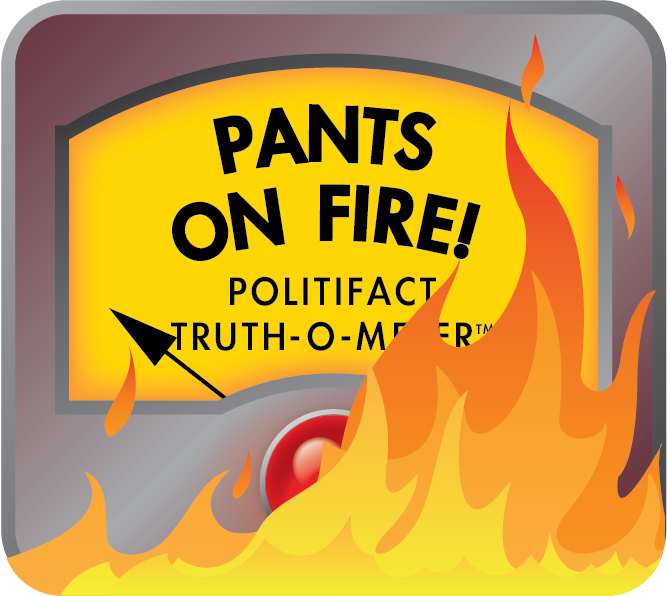 We rate his statement Pants on Fire! Published: Wednesday, April 12th, 2017 at 4:29 p.m.